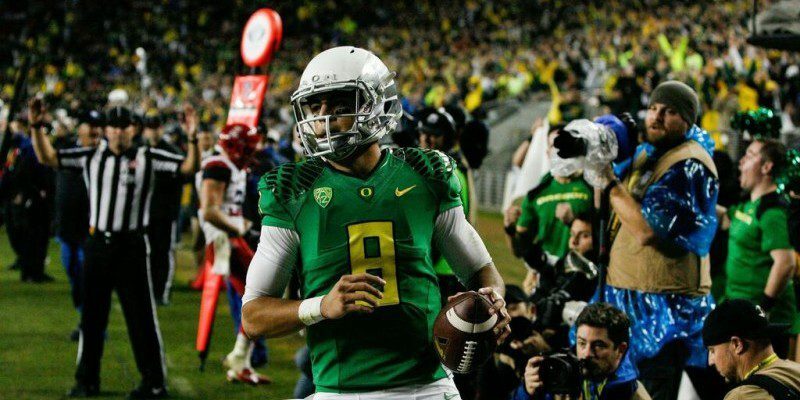 With only a week left before the commencement of the 2015 NFL Draft, a ton of rumors regarding the possibility of former Oregon QB Marcus Mariota landing in the City of Brotherly Love have intensified. The recent signing of 2007 Heisman Trophy winner, Tim Tebow, sent a shock throughout the football community and now has everyone wondering, what the Philadelphia Eagles general manager, head coach and former Ducks head coach, Chip Kelly, is creating? The truth of the matter is that most individuals do not understand Kelly and ultimately think he is destroying the Eagles franchise. However, people who are close to him and familiar with the situation believe he has a storm brewing. We’ve heard from dozens of sports reporters throughout the off-season regarding their feelings surrounding this subject. However, it has become significant because of who is now saying it. 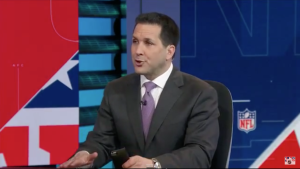 Schefter is a highly respected journalist because of his professionalism and dedication to delivering the facts, not fabricated information for mere entertainment and publicity. He’s always ‘on the clock’ and strives to get the best and latest updates from his sources to inform his audience. Despite a multitude of Duck fans yearning to see Mariota flex his feathers in Philly, the chances of Kelly assembling a trade to draft him are highly unlikely. But, the former Oregon head coach is an intelligent and crafty individual, so if anyone can make an unlikely trade happen — even if it requires a three team shuffle — it’s him.